Cruz Contreras talks about his band, the Black Lillies, the sound of a southern belle saying his name, the important parts of his band's sound, and happy audiences in a trying time. 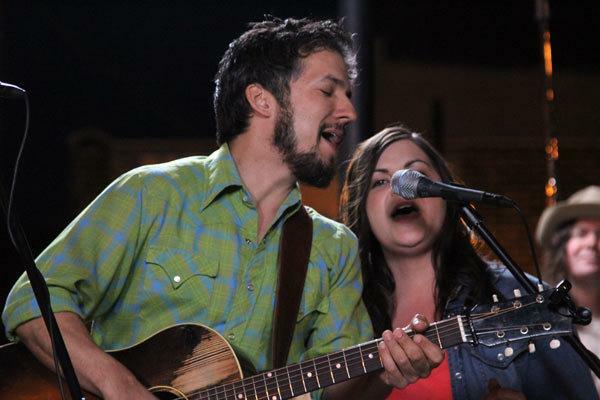 The Black Lillies close out Mountain Fair this year, playing Sunday night at 7. Paper Bird soared through KDNK's Beyond Beyond, landed, warbled, answered a question, warbled again, and then took off for Basalt's Lions Park where they sang in harmony for an appreciative crowd on August 25th. While they were here we played the first single from their upcoming release, produced by valley resident John Oates. Then they played "Sleepwalker" and "Make You Mine" live in the studio. Then some crazy song about Turkey Gum that was 4:20 long ushered them away and gone.